(Click on your retirement community of choice for a link that takes you to that profile page. You will be able to access more information including a community profile, floor plans, HOA fees, amenities, video, reviews, photos and of course home searches all on one page). 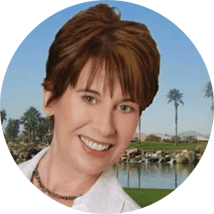 Once you have determined you want to retire in Phoenix Arizona, the next step is deciding which community is right for you? 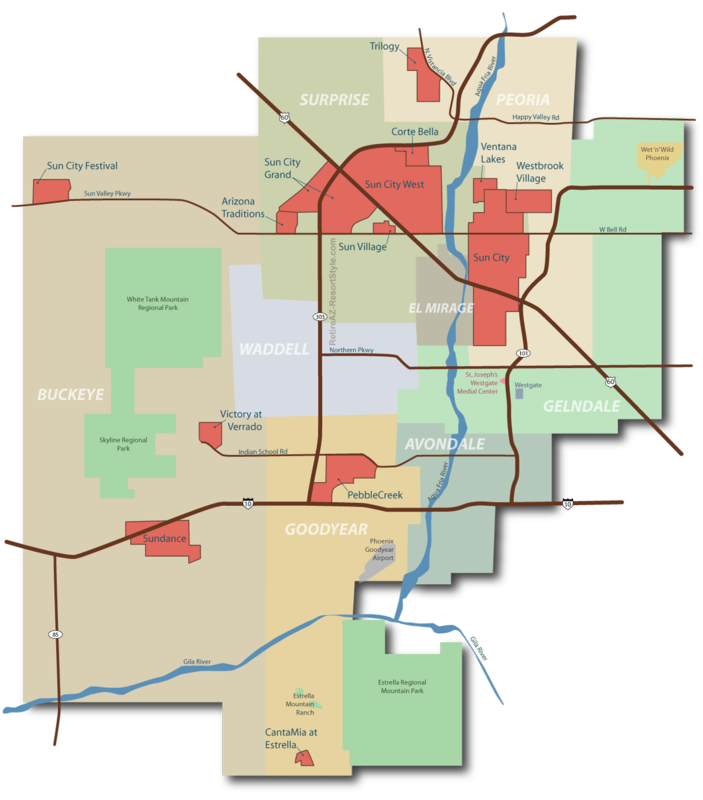 Retirement Communities in Phoenix AZ are concentrated mainly in the West Valley. The land they currently occupy was once farmer fields with dirt roads and no freeways. Many locations were citrus or cotton fields. Today, the West Valley is the fastest growing part of the Phoenix Metro area. Del Webb’s retirement communities are known for developing in remote areas that fill in, and that’s precisely what has happened over the years. Even Bill Gates sees the potential. He is building a Smart City in the South West Valley on the western boundaries of Buckeye. Bill Gate’s Smart City, is still in the planning stages and will be called Belmont. Who knows this new Smart City might include a retirement community as part of the master plan. I like the breakdown retirement communities by the North West and South West sections on the West Valley. If having the Phoenix Airport close is important to you, then the South West Valley might be a consideration. If you are willing to travel 15 or 20 minutes more, the North West Valley is most certainly an option. If you need to get your bearings, here’s a couple of Maps of greater Phoenix. Some of the Retirement Communities in Phoenix AZ are remote currently. An excellent way to gauge how far out, is the look at the map above. A great rule of thumb is that the closer a community is to a major freeway, the closer to shops, restaurants, and services. Major freeways are 1-10, 303 and route 60 which is Grand Ave. Those remote retirement communities do have some big pluses like lower prices, closer to the mountains and newer homes. Just like anywhere you pay for convenience.